As the most popular cryptocurrency touches new highs, the income tax department on Wednesday began its nationwide crackdown on Bitcoin exchanges. Tax sleuths conducted 'surveys' at as many as nine Bitcoin exchanges in the country. 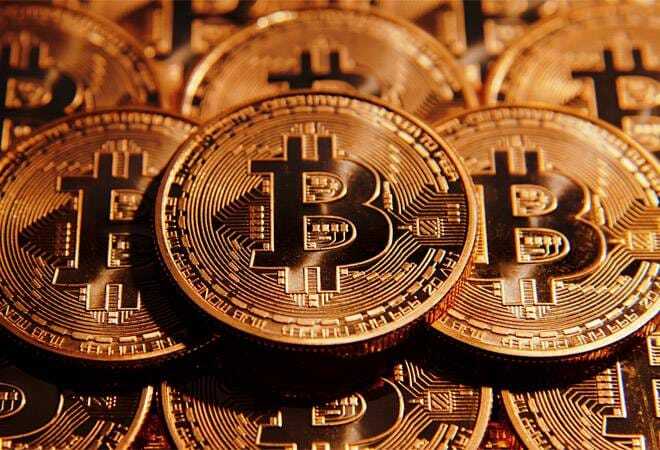 During the investigation, the I-T department looked for evidence to establish identity of investors and traders, transactions undertaken by the Bitcoin traders in India. PM Modi batted for small and medium enterprises (SMEs), saying their dues were not paid on time by big entities. The SMEs have now been allowed to directly sell to the government through e-marketplace, the PM pointed out while addressing the 90th annual general meeting of the Federation of Indian Chambers of Commerce and Industry (Ficci). As PM, this was the first time he was attending an AGM of a leading business chamber. In a largest-ever share buyback programme in the history of Indian start-ups, Flipkart completed its $100 mn repurchase of employee stock options or ESOPS. Over 3000 existing and former employees of Flipkart, Myntra, Jabong and Phone Pe had participated in the share repurchase programme. Providing relief to many, the government has extended the deadline for mandatory Aadhaar linking with bank accounts to March 31, 2018, in its latest notification. Earlier, the government said that the last date to link your Aadhaar with various investments such as bank account, insurance and mutual funds was December 31, 2017. The Asian Development Bank on Wednesday lowered India's 2017 growth outlook to 6.7 percent from 7.0 percent. The recovery in the Indian economy "is more subdued than assumed earlier due to rising crude oil prices, soft private investment growth, and weather-related risks to agriculture," the ADB said. The Reserve Bank said it has imposed a penalty of Rs 3 crore on IndusInd Bank for deficiencies in regulatory compliance.Giving details, it said that the statutory inspection of the bank with reference to its financial position as on March 31, 2016 revealed, inter alia, violations of various regulations issued by the RBI in the assessment of non- performing assets (NPAs) and extension of NFB facilities. The Supreme Court has allowed the cement industry to use petroleum coke, a dirtier alternative to coal which had temporarily been banned as pollution levels shot up in Delhi last month. India is the world's biggest consumer of petroleum coke, better known as petcoke, a dark solid carbon material that emits 11 percent more greenhouse gas than coal, according to studies. But a blanket ban on the sale and use of petcoke could hit the country's small and medium scale industries, which employ millions of workers and operate on thin margins, businesses say. Microsoft has pledged USD 50 million towards expanding the AI for Earth project over the period of next five years. The company had made the announcement earlier this week at the two-year anniversary of the Paris climate accord. AI for Earth is a project with which Microsoft aims to provide solutions to some of the grave environmental problems which the world is facing today by harnessing the power of artificial intelligence. The Telecom Regulatory Authority of India (TRAI) is planning to issue regulations pertaining to in-flight connectivity (IFC) by the end of this month. This means that Indian fliers will be able to access internet while onboard an aircraft. The TRAI Chairman R S Sharma stated that recommendations on in-flight connectivity could come out by next year or next 15 days. To help you look back at the passing year, Google has released its annual list of popular searches. Apart for a few entrants, most of the lists in India hold no surprises. In India, Bahubali 2 was the top search across all fields, how to link Aadhaar and PAN card was the top 'how to' search, Sunny Leone topped the list of most searched entertainers and what is GST topped the 'what is' category. Spanish hit, Despacito, was one of the most searched songs this year, while Wimbledon, the Miss World ceremony and US Open were some of the most searched news terms. A Financing Agreement for IBRD loan of USD 250 million (equivalent) for the "Skills Acquisition and Knowledge Awareness for Livelihood Promotion (SANKALP) Project" was signed with the World Bank. The Objective of the project is to enhance institutional mechanisms for skills development and increase access to quality and market-relevant training for the work force.